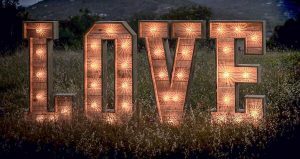 Hire our 4ft LOVE Letters. This makes a lovely addition to setting the extra special scene for your special day. 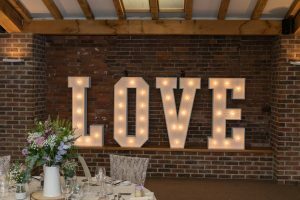 Positioned in the background for your first dance or fantastic photo opportunity outside for some of the group photo’s, A memory to keep for ever. 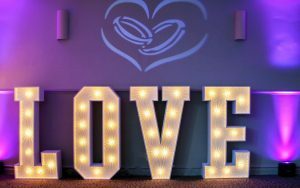 Blue Diamond Entertainment can supply a set of our 4ft Letters on there own or as part of a package including Professional Wedding Dj, Room Uplighting, Dancing on Clouds, Photobooth or LED Dancefloor. The Illuminated Love Letters can be suppiled to Worcestershire, Warwickshire or the West Midlands. Contact us for a quote today or Check availibility online for your special date.